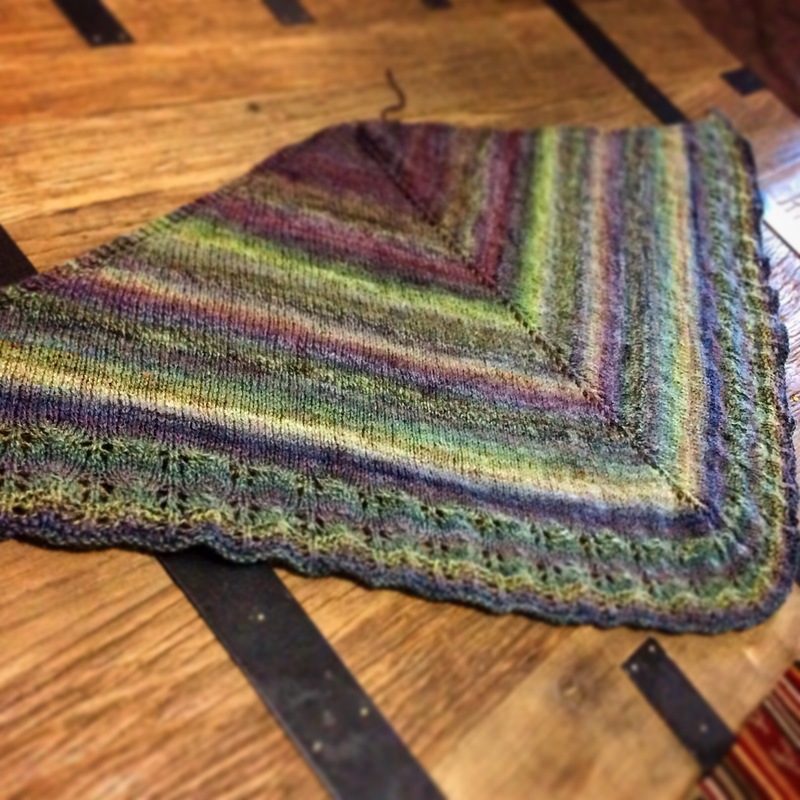 Finally my hand spun shawl is complete! Just a block job left and I am ready for fall. I am so happy with the way it turned out. The fractile spinning is awesome. Every row I felt a bit of excitement to see what colour combo will come up next. I think this will definitely be my go to shawl/scarf this season. It is all about spinning for me lately. And as a sane person that I am, I got two bags full of alpacawool. It needs quite a bit of prep and I can’t tell you how excited I am to prep it. 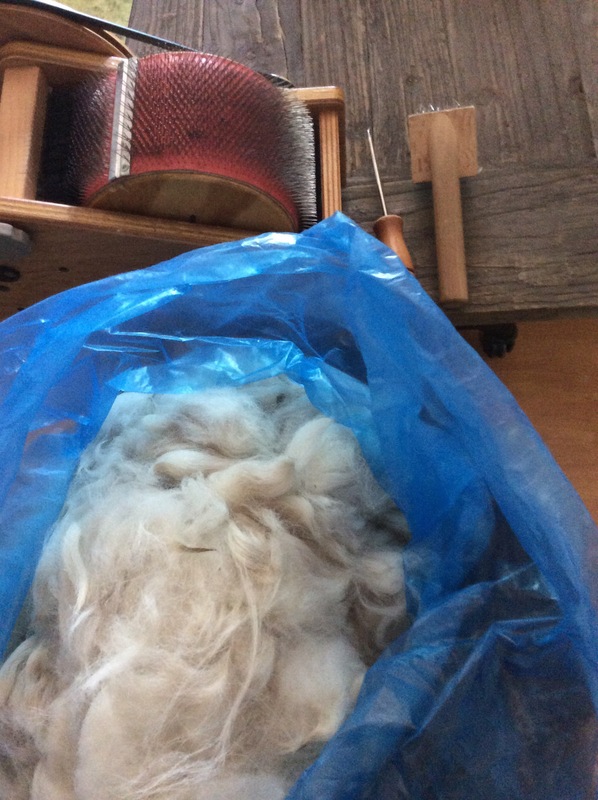 Once it’s nice and combed and in its little batts, I will spin my little heart out. Then I shall dye it. Oh the fun I will have! I love it. The colors are just so rich! Great job all around.